Information is being sought after a man stole cash from a Margate amusement arcade in the early hours of Sunday (January 27) despite attempts by a member of staff to stop him. 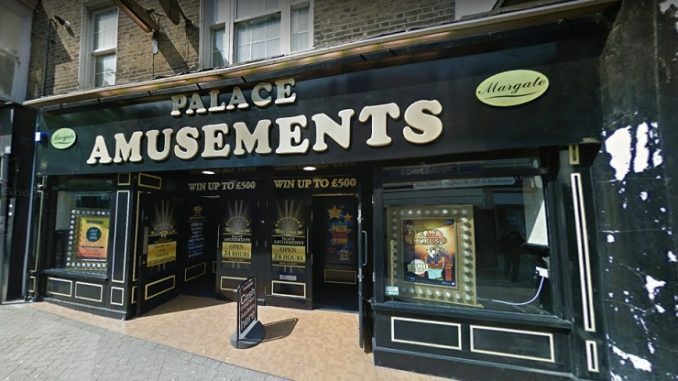 It was reported that at around 4am the victim, a man in his 20s, was working at Palace Amusements in the High Street, when he was approached by an unknown man who had entered the building and demanded access to the office on site. Despite the attempts by the staff member the man stole cash from the site. The offender was described as black, around 5 ft 10 ins tall, wearing a bandana with a skull pattern on it, a black top with the hood up, black trousers and black shoes. He was wearing black gloves and carrying a black pole. Investigating officer Detective Inspector Keith Taylor said: “Although shaken up, the victim was not hurt during the robbery. “Reports of incidents like this in Margate remain rare and our officers are working to identify lines of enquiry, including reviewing all available CCTV. “We ask that anyone who might have seen something unusual around that time in Margate High Street near to the junction with The Centre, or any of the alleyways nearby, calls us on 01843 222289 quoting 46/17547/19. Most people would be fast asleep at 4.00 am but there is a council CCTV on the corner, almost right outside the arcade. But what surprised me was the fact the place was even open at that time anyway. Who on earth is going out playing gambling machines at that time of the night in the middle of winter. The cost of the electricity and unsocial working hours must cost more than it’s worth surely!